Would you want the world knowing your Dad was Bobby Brown? No – me neither. So you can’t blame Bobbi Kristina Brown for deciding to change her name. 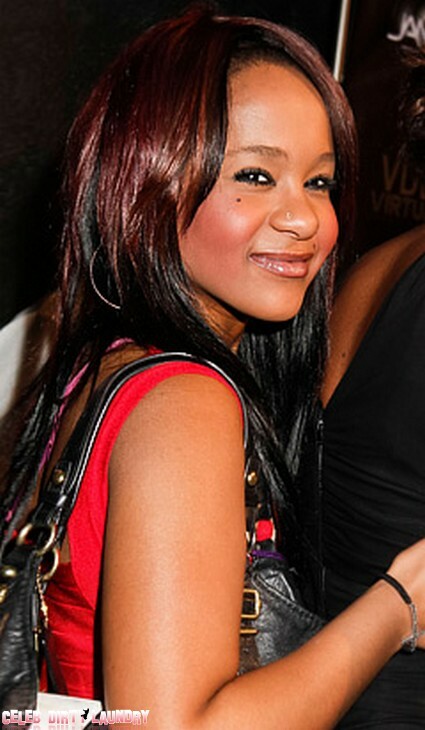 It’s been revealed the 19 year old has wanted to get rid of both ‘Bobbi’ and ‘Brown’ for years – but was forbidden by her late mother Whitney Houston. Now there’s nothing standing in her way. According to TMZ the teenager can’t stand her legal name because of the association with her father. The hate grew even more when Whit and Bobby called it quits on their marriage. Bobbi argued her name wasn’t relevant anymore but her Mom wouldn’t let her take such drastic action. So she remained Bobbi. But that could all be about to change. So what does she want to be called? Kristina Houston. She was always very close to her mother and wants to carry on the Houston name. She reckons it makes perfect sense. But somehow I can’t see her Dad feeling the same way. I wouldn’t want to be in the same room when she dropped that bombshell on the singer. Apparently this isn’t a spur of the moment decision coming in the wake of Whitney’s sudden death last month. Friends says she’s dealing with her grief and in a much better place than just a couple of weeks ago. We’re told she made the decision with a ‘sober mind‘. It just remains unclear whether this will be a 100% legal change of name or a moniker she chooses to adopt. Bobbi is making plenty of headlines at the moment. Her love life is now a hot topic. Celeb Dirty Laundry covered it here Is Bobbi Kristina Brown Dating Her Adopted Brother?